A DATE AT ALLY PALLY! 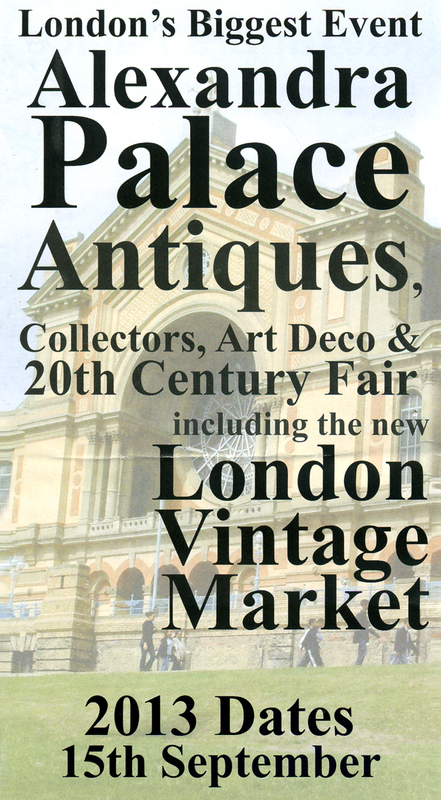 I'm going to be at the ANTIQUES, COLLECTORS, 20th CENTURY & ART DECO FAIR at ALEXANDRA PALACE on 15th September. This is a great step up for me as this is very famous event and is London's biggest antique fair. There will be 600 stalls there, so if you come along make you sure you arrive early to see everyone!! I'll have a double stand, so I'll be able to display a great mixture of my own vintage inspired artwork and a selection of antiques and curios. The BBC always film at this event, and on our recent visit there we bumped into Eric Knowles the antique expert! I can't wait to be at this iconic building which has so much history. My dad has some wonderful memories of the place, so we have a little family connection with it! I'll give all the details of this fair nearer the time, but here are a couple of websites to get you in the mood! 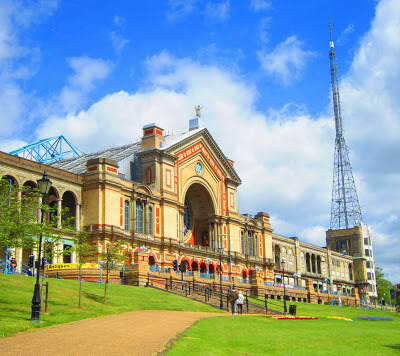 Ally Pally, taken on my recent visit there. Note the huge mast that transmitted the first television pictures in 1936. I'll be at DOTTY SPARKLE's VINTAGE & MODERN FAIR this Saturday! 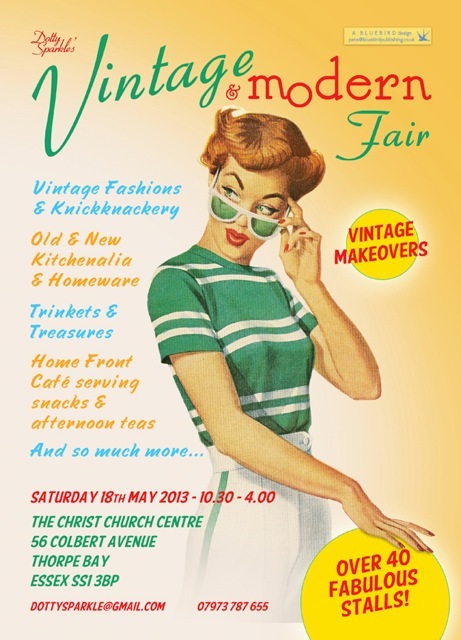 Come along to the Christ Church Centre in Thorpe Bay for an amazing day full of vintage delights, loads of stalls, vintage makeovers and a Home Front Café! 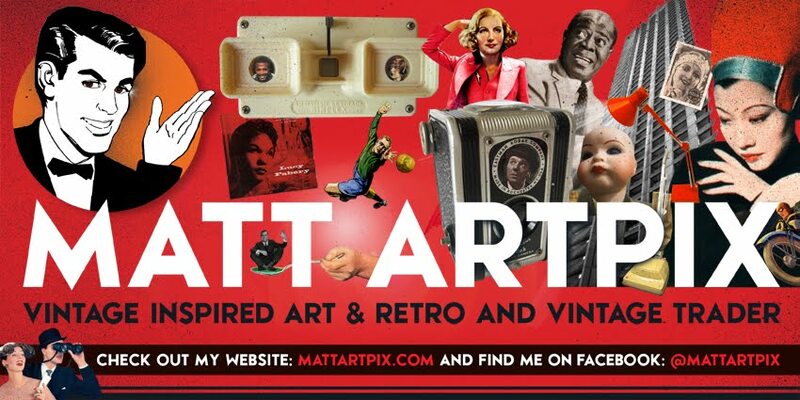 All my favourites will be there, DAZZLING DECADES, RETRO FOOTBALL and more vintage inspired art. I have a huge selection of books, including some gorgeous movie ones, an insane amount of classic comics and a tidy collection of retro SOUTHEND UNITED programmes!! I also have a whole new stock of hand-knitted items, vintage style bags, flower brooches, and all new natty mobile phones covers! If you have caught the 1920s bug with all the glitz and glamour of the new GREAT GATSBY film, you may be tempted with my tribute to that glorious decade! 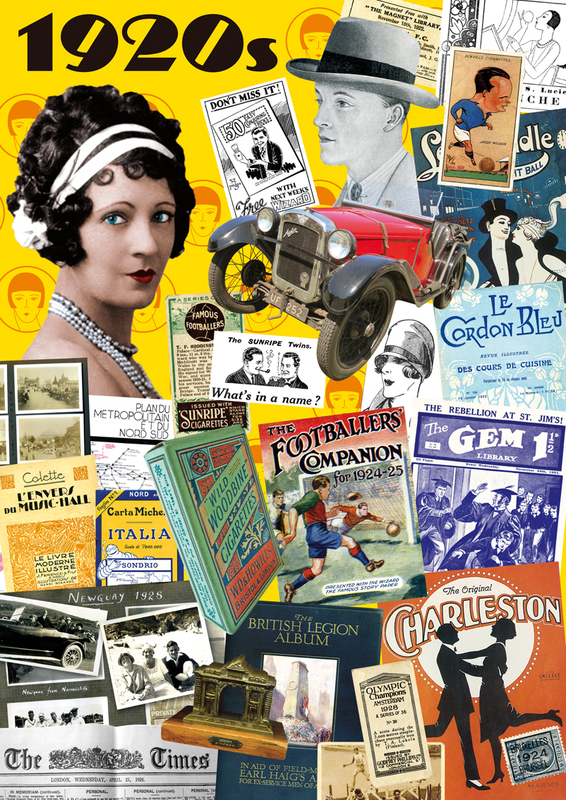 I'll have my TIPSY 20s collage on display, which you can buy as a card, A3 foamboard or as a framed picture! See you there, kick off is at 10-30am until 4pm and admission is absolutely FREE!! Gorgeous poster, with all the info you require! My Tipsy 20s collage, you know you want one! !